PLM: Where did you grow up and go to school? 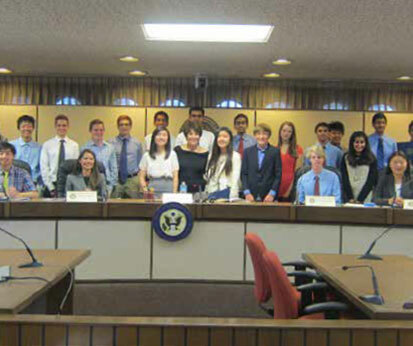 Congresswoman Eshoo: I was born and raised in New Britain and Old Saybrook, Connecticut, and have lived in California most of my life. I have an AA degree from Cañada College, and I am a graduate of the CORO Foundation. I also hold an Honorary Degree from Menlo College. PLM: What prepared you, who inspired you to go into politics? What did you do before being elected to Congress? 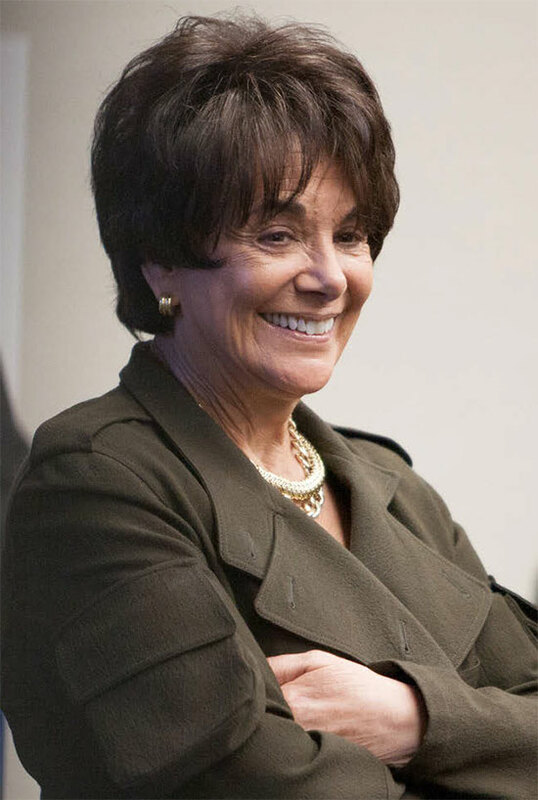 Congresswoman Eshoo: I was elected to the San Mateo County Board of Supervisors in 1982, and served for ten years before being elected to the U.S. House of Representatives in 1992. Previous to my Board service, I was Chief of Staff to the late Leo T. McCarthy, Speaker of the California Assembly. He was a man of great integrity and a mentor to me. Previous to my work in the public sector, I worked in the private sector. PLM: How long have you been in the House of Representatives? Is it what you thought it would be like? Has it changed over these years? Congresswoman Eshoo: I have served as a Member of the House of Representatives for 22 years, and representing my constituents has been beyond rewarding. My Silicon Valley district has changed, as have politics in Washington, but my devotion to public service remains steadfast. PLM: A day in the life, a week in the life of, it’s always full, it’s always busy, especially going back and forth, coast to coast, as often as you do … what might this look like? 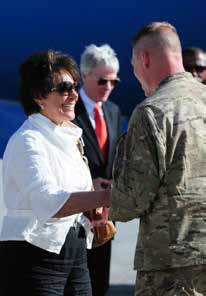 Congresswoman Eshoo: Week days I am in Washington, D.C. for voting and my legislative work. As the top Democrat on the subcommittee overseeing communications and technology issues, I participate in congressional hearings to examine proposed policies or write bills. My days begin early and can end late, and they are always very full. I read all communications from my constituents every night and they are always instructive to me. I’ve commuted across the country over all the years I have been in Congress because it’s important for me to be in the community with my constituents. I learn so much from them and they’re a constant source of inspiration to me. PLM: What is the best piece of advice anyone has ever given you? Congresswoman Eshoo: I am fond of a wise quote of Eleanor Roosevelt, who once said, “No one can make you feel inferior without your consent.” My family also instilled in me to be a ‘giver’…not a ‘taker’. PLM: What are the questions people ask most of you? Congresswoman Eshoo: Many constituents ask me about the dysfunction in Congress and when it will return to being a productive, bipartisan legislature for the good of the country. They also express their concerns about our national economy, the cost of education and climate change. PLM: Who are some of the people on both sides of the aisle (past and present) that you have worked with, respected, truly liked and appreciate? 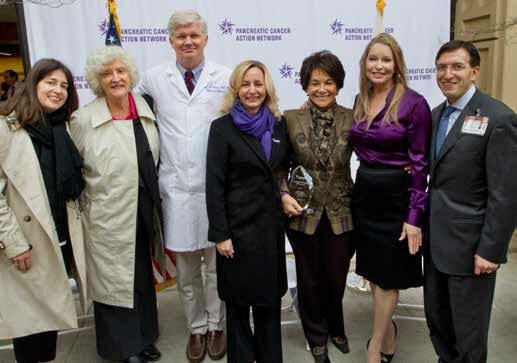 Congresswoman Eshoo: I was honored to work with the late Senator Ted Kennedy to enact a law that for the first time established an approval process for biosimilars, in effect creating a biosimilars industry, just as Congress did with generic drugs in 1984. Biosimilars, or biologics, are drugs created using biological rather than chemical properties. I am always proud to work across the aisle with my Republican colleagues. A majority of the bills I introduce have a Republican co-sponsor, including legislation I have long spearheaded with Congressman Frank Wolf of Virginia to bring about greater protections for persecuted religious minorities in the Middle East. I have also worked with Representatives Joe Barton (R-Texas), Leonard Lance (R-New Jersey), Mike Rogers (R-Michigan) and Senator Richard Burr (R-North Carolina), and we have been successful in having our legislation signed into law. PLM: Do you love history? Congresswoman Eshoo: I respect history. Our past instructs our future. PLM: What do you enjoy and love most about what you do? Congresswoman Eshoo: Being a problem solver; getting complex issues resolved for my constituents; and shaping policies to improve the lives of people and strengthen our country. PLM: What are some of your proudest moments and/or accomplishments? Congresswoman Eshoo: My two children. PLM: What’s an issue close to your heart that you are working on, striving for? Congresswoman Eshoo: Biomedical research because it holds the promise to cure diseases and heal humankind. Investment in biomedical research at the National Institutes of Health is at unprecedented lows, jeopardizing our national health and preventing future breakthroughs. More than half of basic research funding in the U.S. comes from the federal government, yet we spend two-thirds less on research and development than we did in 1965. I have spearheaded legislation in this Congress—the America HEALS Act—to reverse this troubling trend by establishing a trust fund for our biomedical research agencies and ensure that the United States is the leader in scientific discovery. PLM: What would you still like to see accomplished? Congresswoman Eshoo: Comprehensive immigration reform, addressing climate change, a stronger economy that benefits all Americans, and more advancement for women and girls. PLM: What do you feel is our biggest challenge? Congresswoman Eshoo: Climate change is one of the most serious issues facing our nation and the world. PLM: You have gotten to know a number of leading CEO’s and community leaders. Are there any that stand out that we should know about…and possibly watch and listen to? Congresswoman Eshoo: Jeff Weiner, the CEO of LinkedIn, has ambitious ideas about how to employ Americans and people around the world. 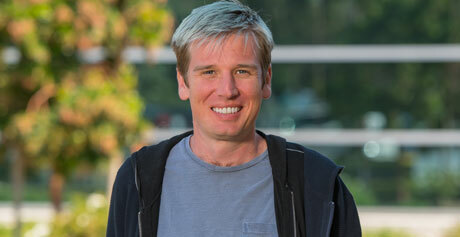 PLM: In 2011, you were interviewed by Carl Guardino, CEO of the Silicon Valley Leadership Group, at what was called “an unprecedented gathering of leaders focused on working together to get the economy on a sustainable path for growth.” That was then and we have come a long way since. You and Carl both do so much for community and have a great working relationship. Please comment. Congresswoman Eshoo: Carl Guardino and the Silicon Valley Leadership Group are a force for good in our region and our country, advocating for issues ranging from immigration reform to investment in STEM, job creation, infrastructure and housing—investments that bolster our economy and improve people’s lives. 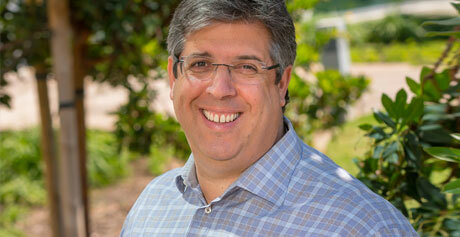 I am proud to have Carl and the SVLG as partners in my work. PLM: What advice do you have for aspiring young people? Congresswoman Eshoo: Learn. Lead. Don’t be afraid to fail. PLM: What advice do you have for aspiring women? Congresswoman Eshoo: Follow your dreams. Think big. Keep going. Keep your friends, teammates and family close to help you reach your goal. PLM: What can people do to help make this a better community, such as volunteerism and philanthropy? Congresswoman Eshoo: The American education reformist Horace Mann said, “Doing nothing for others is the undoing of ourselves.” Our citizenship is a gift…it’s also a responsibility. Every generation is called to build on the progress of the past and move our communities and our country forward. There are hundreds of non-profit organizations in our communities and our churches that carry out noble efforts. Find one. Join one. PLM: What in your spare time do you like to do? Do you like to read? Do you have favorite authors, favorite books? Movies? Music? Sports? Do you have a hidden talent? Congresswoman Eshoo: I am a voracious reader, a big fan of public broadcasting, and I enjoy walking. Our community theaters are terrific, and a healthy meal with family and friends renews me. PLM: Do you have hobbies, interests? Do you enjoy travel? What may be some of your favorite places you have visited or like to visit? Congresswoman Eshoo: I have traveled many times to visit our troops in Iraq and Afghanistan, attended foreign policy workshops in Africa, and I had the honor to be a member of the official congressional delegation for the inauguration of Pope Francis. PLM: Lastly, if you could host a dinner, and you could invite anyone (living or not), who would you like to have as your guests? Congresswoman Eshoo: My entire family, Katherine Hepburn, Mother Teresa, Pope John XXII, Pope Francis, FDR and Eleanor, Albert Einstein, Gloria Steinem, the Dalai Lama, JFK and Bono. Imagine the dinner conversation!